With unlimited data plans soon to be history, it seems Wi-Fi will soon become key to the growth of not just iPads, but also iPhones. A survey released by ComScore shows that of smartphone owners in the U.S. and U.K., iPhone(s AAPL) users are far more likely than their Android-toting counterparts to take advantage of Wi-Fi networks when available. The study shows that in the U.S. 71 percent of iPhones and 32 percent of Android(s GOOG) phones connect to Wi-Fi and cell networks. In the U.K., the divide was a little narrower: 87 percent of iPhones and 57 percent of Android phones connect to both types of networks. Wi-Fi’s popularity among mobile devices isn’t limited to iPhones: Tablet users are overwhelmingly in favor of Wi-Fi use too. Two weeks ago mobile analyst Chetan Sharma released a report noting that in 2011, more than 90 percent of tablets in the U.S. connected to Wi-Fi instead of mobile broadband. While sales of tablets shot up last year, the percentage of 3G- and 4G-capable tablets stayed relatively low. And it’s safe to assume that the iPad is what we’re talking about when it comes to tablets: It accounted for roughly two-thirds of all tablets sold in the U.S. in 2011. So while iPhone users are relying heavily on Wi-Fi, so are iPad users. It’s not clear what exactly accounts for the difference in behavior between iOS and Android users — it could be something as simple as that Wi-Fi is just easier to set up on iOS devices. But it also may have something to do with the amount of content users are downloading. And with the new iPad, it’s likely that this reliance on Wi-Fi will only increase. Its shiny new high-definition display makes watching videos on it easier on the eyes than ever — and that can eat through monthly data plans pretty quickly. When the BlackBerry PlayBook came out wifi-only, or able to pair with just about any 3G/4G phone, people laughed. I wonder how many of the iPhone users actually are using an iPod and have no choice but to use Wi-Fi. There is no Plan B for us. It’s Wi-Fi or nothing. couldn’t the answer to iPads using wifi more often is that they don’t all come with 3g/4g. So many of the models sold simply don’t have a choice but to use wifi. And with the wifi+ models the ‘+’ isn’t required like a phone and isn’t on right off. now if you could see that a model is a wifi only or a wifi+ no matter how it was connecting, and say that even with wifi+ models folks aren’t using the ‘+’ then this ‘statistic’ might make more sense as actually saying something meaningful. 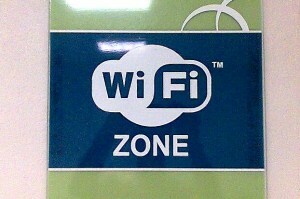 accesibility via Wi-fi by iphone is really fast and nonstop. It is so easy to setup wifi on any phone this seems to be a worthless comment. I don’t know why ios users use wifi more but that is NOT it. I for one wish more people had always available. Data on the go like I do. I happen to be in NYC so wifi is often available, but I never am without 3 -10 mb down. It really changes how I work. Last month I was at 14gb on one account. I wonder if the report data is recording tethering as wifi? The reason why iOS devices are on wifi more often than not is because the radios are ten fold more efficient than other phones you can leave the radio on all the time. You try that on any Android and you won’t get through a few hours a day. I believe there are two reasons for this behavior. First, iOS users are used to highly polished apps that rely on a lot of imagery. E-commerce apps in particular are often hybrids, and there is a high usage rate on the iPad. These require solid data connections, and frankly I am often annoyed at lags, of which there are many. Lets not even get into the predominance of poorly designed magazines and catalogs using images as pages. Can you say crash? Secondly, our rates of data usage on iOS are really high. I have no land-line data at home, and burn through the typical allotment rather rapidly. A WiFi connection at the office is a life saver for heavy downloads.